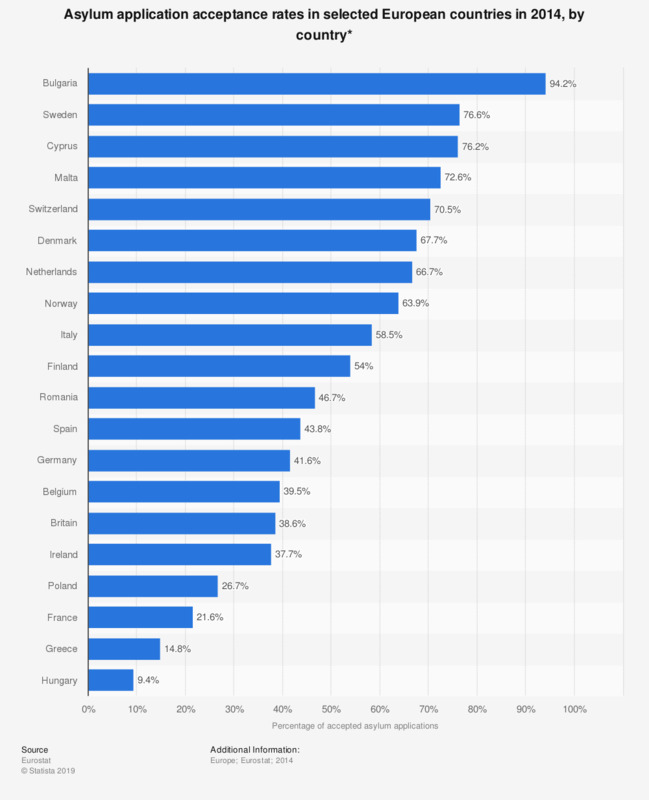 This statistic shows the percentage of accepted asylum applications for 20 European countries in 2014. In 2014, Bulgaria approved the greatest share of asylum applicants with 94.2 percent, over 17 percent more than second ranked Sweden. Hungary approved the smallest percentage of asylum applicants with 9.4 percent.